Published by Arcadia Press, Images of America: Salem charts the history of Oregon’s capital from the first Native Americans who favored the area as a winter campground, through its vital place as the state’s capital city. 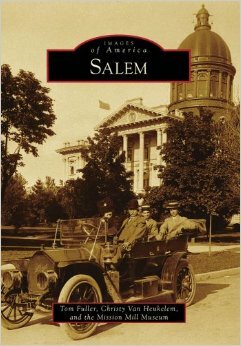 Told by way of hundreds of historic photos and extended captions, this book shows the people, institutions, events, and places that make Salem one of the most interesting cities in Oregon. The book is co-authored with research Christy Van Heukelem.